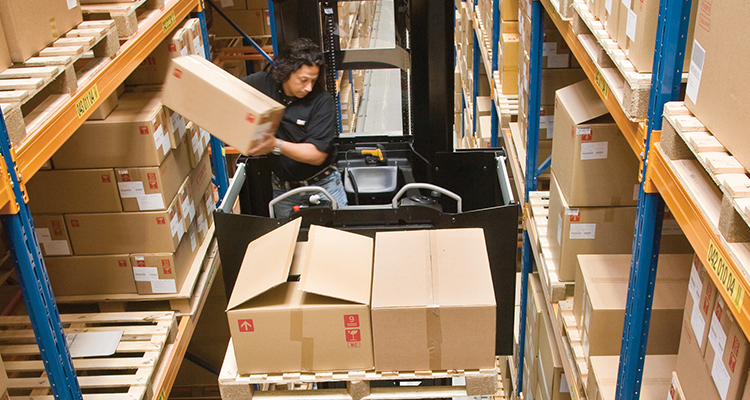 Is OEE relevant to lift truck fleet management & warehouse operations? Home / Fleet Management / Is OEE relevant to lift truck fleet & warehouse operations? OEE is an established technique in manufacturing and engineering but is it relevant to lift truck fleet management and warehouse operations? Ruari McCallion gets out his datasheet. The world of business improvement is so full of acronyms and initials – kaizen, SMED, SPC and so on – that it can be tempting to make alphabet soup out of them and move on. But those letters mean something and most of them have more than proved their mettle in practice. But while single minute exchange of dies (SMED) and statistical process control (SPC) are now widely known, understood and used, that may not be the case with OEE. It stands for “overall (or operational) equipment effectiveness” and is both a means of measurement and a tool for improvement. Along with TPM (oddly, it stands for “maintaining production totally”) it has helped to transform performance, effectiveness and productivity where it has been deployed – and it has usually been deployed in the context of engineering and manufacturing. 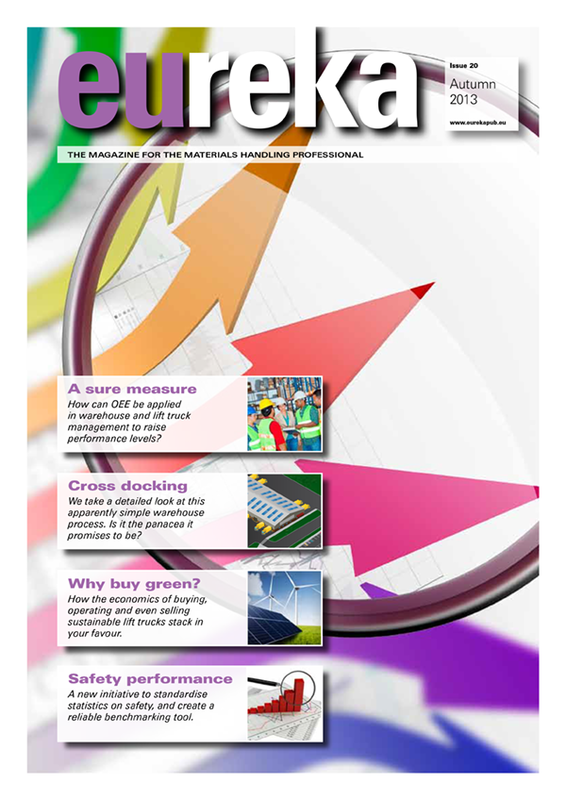 Does it have a role in warehouse management, materials handling and the effective operation of a forklift truck fleet? The answer to that question begins with understanding what OEE is. It breaks the performance of a manufacturing unit into three separate components: Availability, Performance, and Quality (APQ). Each component will identify an aspect that can be targeted for improvement. OEE may be applied to any individual workstation (or vehicle, in the case of forklifts) or rolled up to warehouse, department or plant levels. It also allows for specific analysis of, for example, a particular part number, shift, task or any of several other parameters. It will measure performance based on scheduled hours. Performance is compared with both expectations and specification. Improvement strategy is then based on bridging the gap – there will always be a gap – between reality and expectation. It is unlikely that any manufacturing process can run at 100% OEE; manufacturers who adopt the measure tend to set themselves ambitious targets of, for example, 85% OEE. “Performance is a general measure – the speed of the line, for example. Are you hitting the speed it is designed for?” Pete Austin, director at Suiko Ltd, a consulting group with offices in the UK, Middle East and Australia. “Availability is uptime and will cover breakdowns and other interruptions. Quality is about defects. OEE is often more about the operator of the equipment than about the equipment itself.” Data collection is essential and, as many lift truck fleets now come equipped with performance monitoring equipment and associated software, the means of collection is straightforward. The next query is: what to collect? OEE has helped transform performance where it has been deployed. Does it have a role in the operation of a forklift truck fleet? Data collection is essential and, as many lift truck fleets now come equipped with performance monitoring equipment and associated software, the means of collection is straightforward. 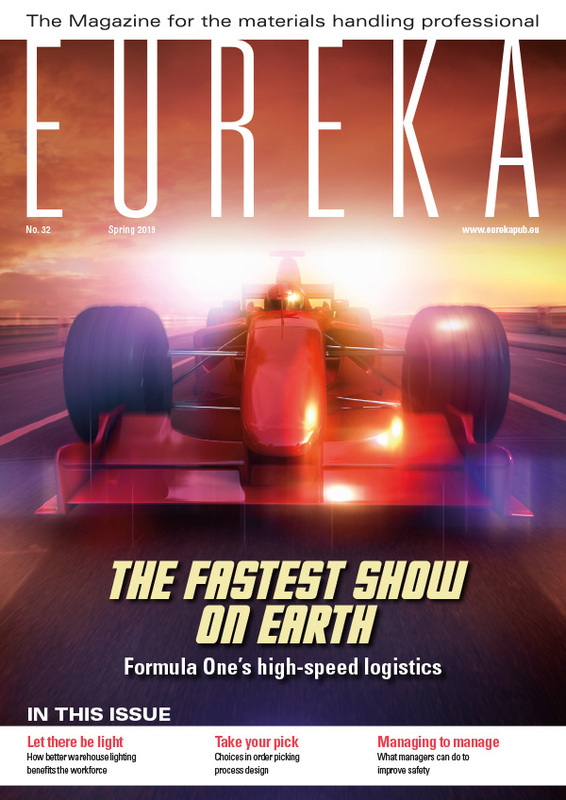 eureka reported (issue 16) on the measures that Cat Logistics* Services is now taking to monitor and manage its fleet. 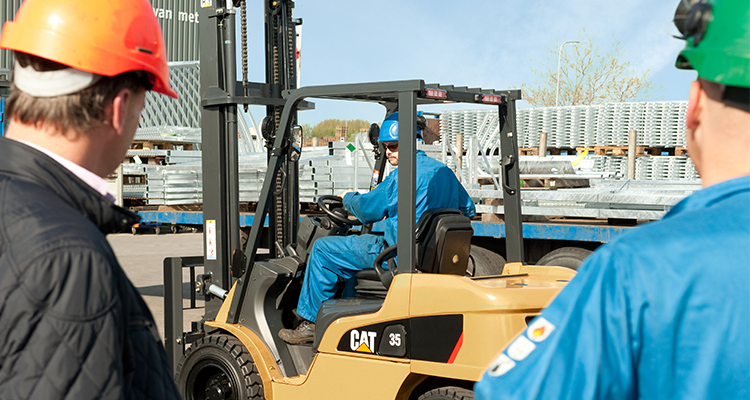 Impact Handling, exclusive distributor of Cat® lift trucks in UK, zoned the fleet into customer business units and families of vehicles, and introduced reporting by site and business unit. Job sheet information is collected through wireless technology and transmitted to the central server. The data is collected and collated on Excel spreadsheets, which facilitates the identification of ‘Top 10’ problem trucks and issues. This provides Impact and its customer with a clear picture of fleet performance and enables the development of effective strategies to improve availability and control costs. In a project undertaken for a major multinational food production company, Suiko created a matrix of information and targets that enabled the company to improve the monitoring of its warehouse operations and, consequently, its performance. “The numbers work in exactly the same way in logistics as they do in manufacturing,” said Mal Reade, consultant with Suiko, who led the improvement project. “We installed boards and measured from the bottom up. We got the drivers to measure their own performance, and the sum of the drivers’ performances was the shift performance.” Introduction of the methodology followed a familiar pattern of an initial workshop and description of the objectives and the drivers’ part in it. 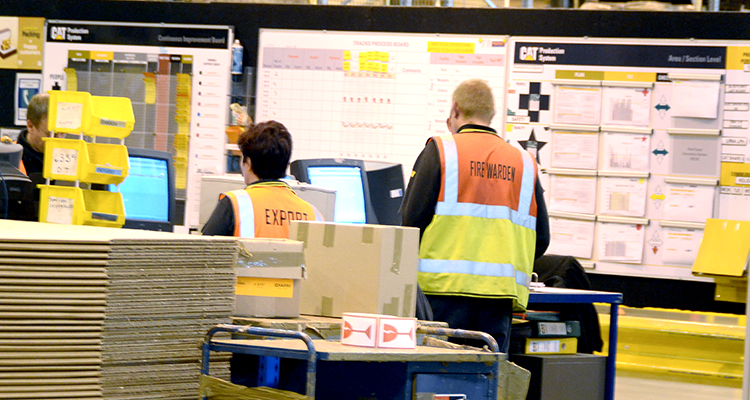 The particular tasks targeted were picking errors, which may appear low-level to operators and to outsiders as well, resulting in a mild telling-off for the drivers, but warehouse managers and administrators are only too well aware that the ramifications are wasteful, timeconsuming and expensive. “Picking errors generate a huge amount of wasted effort,” said Reade. “There is a whole lot of admin involved. The customer rejects the delivery and puts in a claim. That has to be administered. A credit note has to be generated. Re-delivery has to be arranged – some more assertive customers may want immediate remedy.” As Just In Time delivery is now widespread, “immediate remedy” might be required in the majority of cases, rather then just a few “more assertive” customers. Illustration of a typical Communications Centre, implemented as part of OEE. At Cat Logistics*, job sheet information is collected through wireless technology and transmitted to the central server. The data is presented on Excel spreadsheets, providing Impact and its customer with a clear picture of fleet performance. “If you have two warehouses, one with a team of fully motivated and engaged people, it will outperform” Reade continued. The key measure was completion of pick cycles, which was compiled at the end of shifts and at changeover. It would include measurement of cause, and issues such as non-storable pallets; faulty activation – system errors, effectively; despatch errors; damage; and so on. In fact, anything that had an impact on the ability of the drivers to complete their jobs effectively. 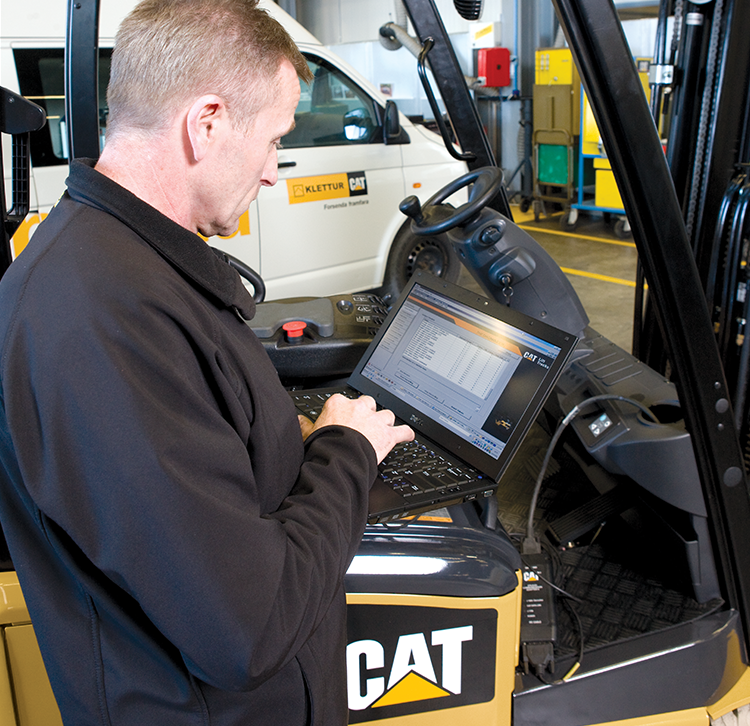 Cat Logistics* identified vehicle availability as a paramount factor and introduced a system called FTC – fork truck control – to monitor and control damage. Each driver has his own fob, which identifies who is driving the truck at any time. FTC has helped to reduce the number of incidents, identify training needs and modify driver behaviour. Fleet availability is now above 97%. 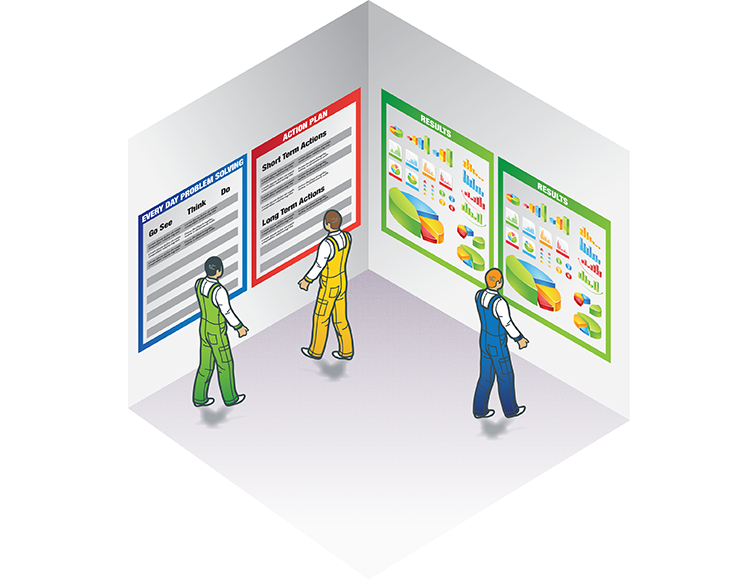 Planned maintenance – and adherence to the schedule – helps to reduce breakdowns. It also helps to identify recurring problems and enables them to be addressed at their core cause. But OEE, like all good ideas, is not a panacea; it is one tool warehouse manager should have available. 50% of delivery issues are caused by the logistics operation making picking errors. Improving picking can make a huge and valuable difference to a business. “We measure drivers’ performances in a number of ways and OEE is one lever we might choose to pull,” said Reade. “We can also discuss damage, ideas generation, absenteeism, H&S and people measures. This particular client follows a behavioural-based safety approach, for example; it measures behaviour rather than actions.” Improved performance is not the result of a single ‘magic bullet’; rather, it is the consequence of a planned and strategic approach to getting the most out of personnel, facilities and even the geography of the warehouse. But OEE certainly helps to measure and manage better. *Cat Logistics was sold in 2012 and is now called Neovia Logistics www.neovialogistics.com.